Over the last decades, we as consumers have been slowly losing the connection to the production of food – it happens out of our sight. 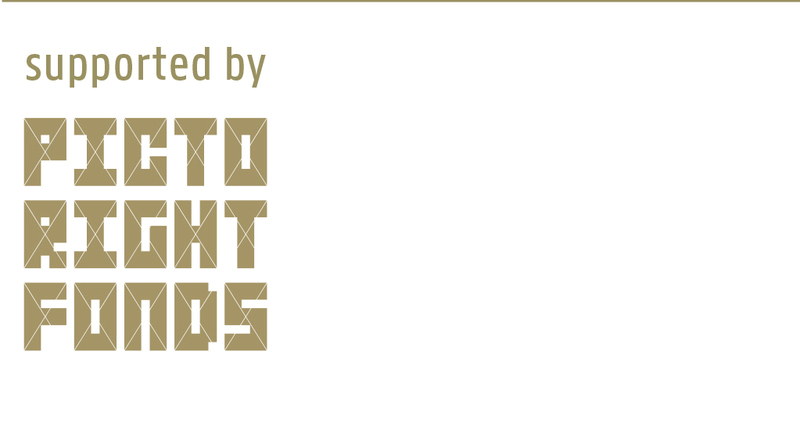 This way, it is more convenient for us and more efficient for the food industry. The idyllic image of a cow in the fields on the milk packaging seldom corresponds with reality. 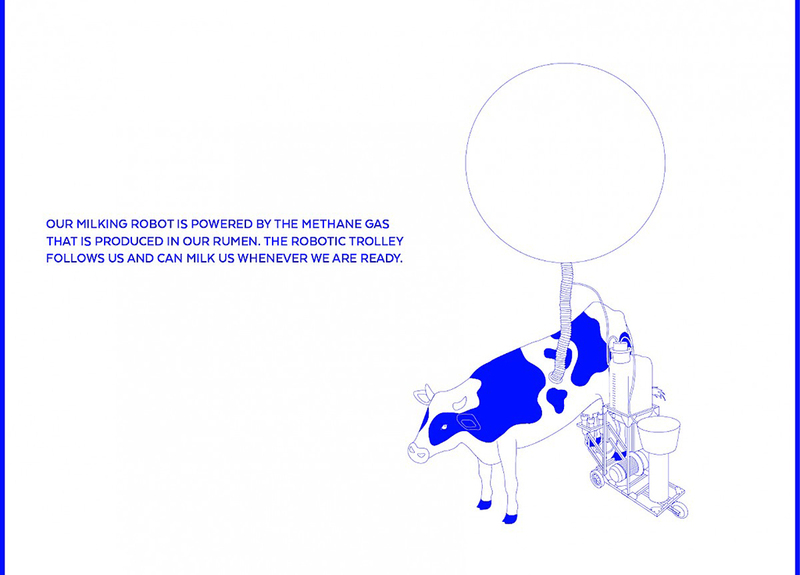 But most likely it is the only image of a cow that we as city dwellers can relate to. Real cows and other farm animals with their issues remain invisible. 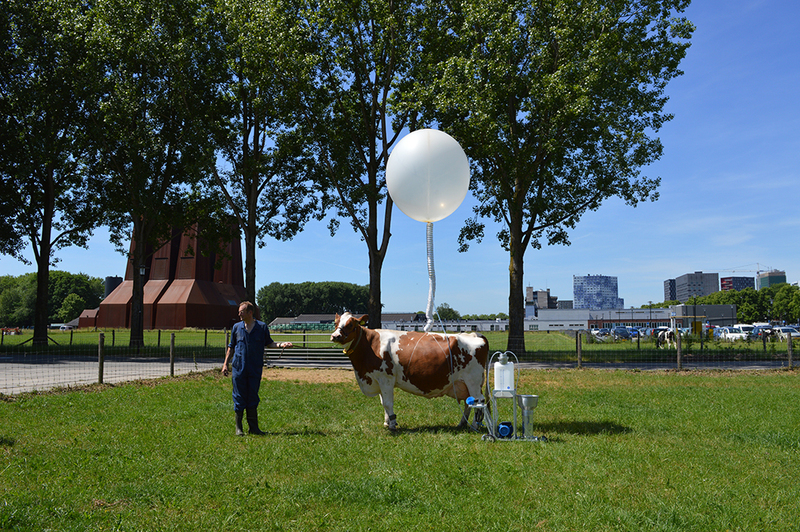 Cow&Co is a critical project that aims to redefine the farm animal in society by bringing not only cows but also dairy production processes back into the city. 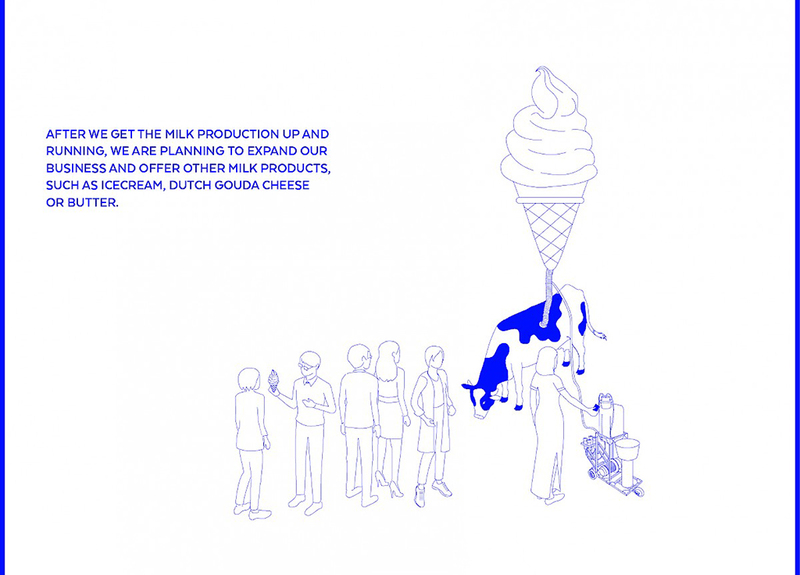 The Cow&Co addresses the production-consumption relationship when it comes to our food and especially milk production and looks for future alternatives. 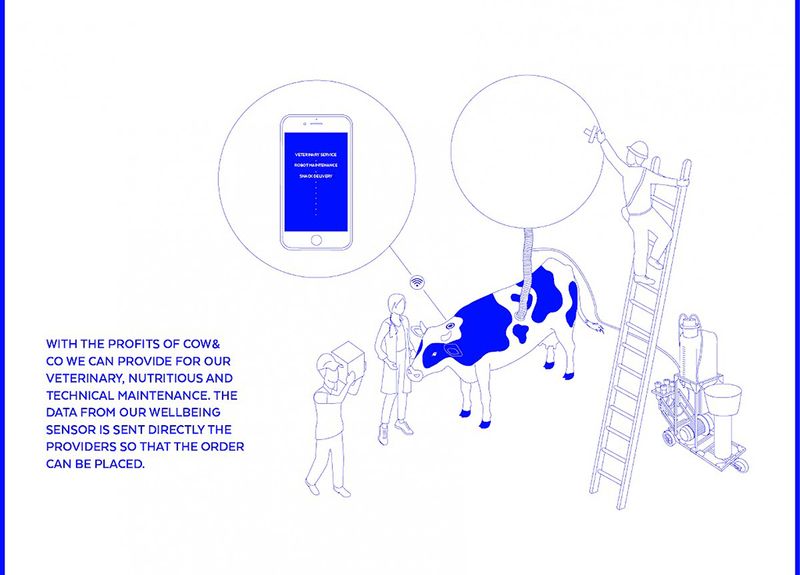 Cow&Co reconnects consumers with the food production network, confronting them with issues like animal welfare and the ethics of food production, speaking metaphorically about the exploitation of farm animals. 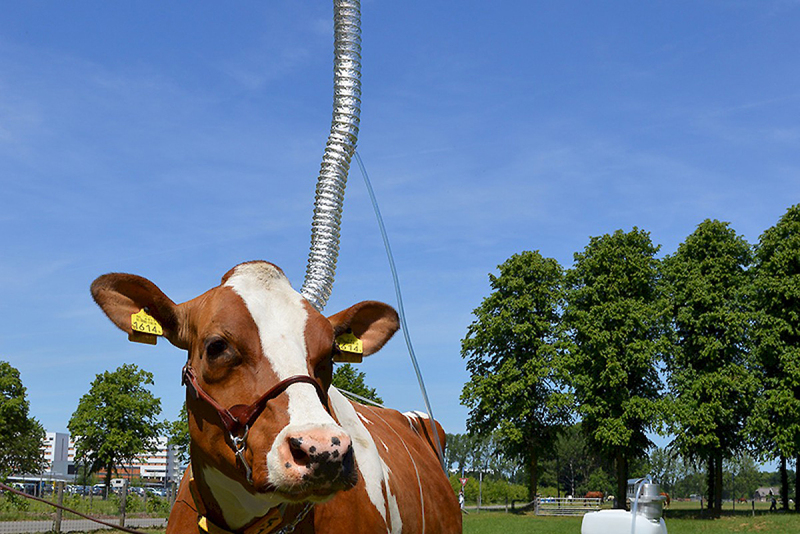 At the same time, the project proposes a transformative business model that enables decentralised fabrication, fusing agricultural innovations such as robotic milking, making use of the animal as a power source, and combining the physical and the virtual world.